Being shrouded in a cloud of geopolitics, Palestine is rarely noted for its cuisine. But at Ziryab, a tiny El Born bistro, Palestinian food is given a Spanish twist. 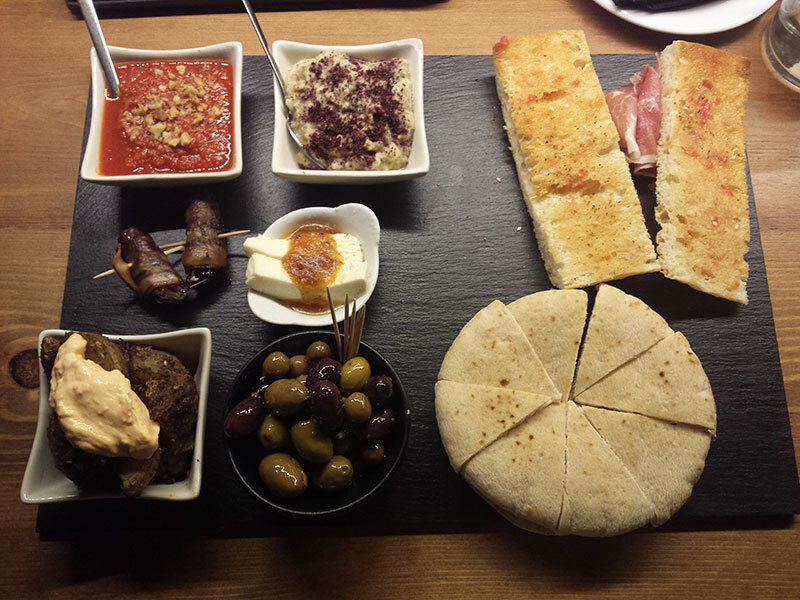 Ziryab is a tapas bar with a touch of the world put into the food. Their menu features a rare and fascinating blend of food; a fusion of Arabic and Spanish cuisines, blurring the lines between mezze and tapas. Both cuisines feature communal plates, many different flavors and rely on sharing among friends and family. It was bound to happen. Not only do they serve great food but on top of a tapas restaurant, they are also a wine bar, with a dynamic wine list for your enjoyment. The bread is flown in from Haifa, and the beer is brewed in Ramallah. And although politics may be on your mind when thinking of Palestine, Ziryab allows you to take a moment to overlook the whole conflict. All that matters here is the rare and delectable cuisine that’s made one of its first appearances outside of Palestine. Tapas is common in Barcelona, but Tapas coupled with ambience, recommendation and a unique flavoursome menu is less readily found and offered at Ziryab.